Conservatories are an excellent way to add an extension to your property. Panoramic offers a full range of options which can be tailored to your home. We offer our range in a variety of materials, including uPVC, aluminium and timber options. Each installation is unique and can be customised to fit your space. What makes a conservatory different to an extension is the absence of planning permission needed to add an extra space to your home. Conservatories are perfect for creating a new space inside your home, fit for most purposes! From an exercise room to a new kitchen or diner, you will be able to make the most out of your new room, no matter what you use it for. The most traditional silhouette for a conservatory would be Victorian conservatories. Its elegant curved bay windows offer a sweeping view onto your garden, and the elaborate cresting and finials offer a gothic style profile most suited to traditional homes. To find out more about our range of Victorian conservatory options, get in touch with us today. This more minimalistic style of conservatory is inspired by the Mediterranean and offers a simple extension of floor space that would suit both traditional and modern homes. Our variety of lean-to conservatory options offer exceptional amounts of space and incredible designs with its effortless shape. This style would best suit modern homes due to its sleek and contemporary design. P Shaped conservatories offer the best of both worlds, combining the classic shape of a Victorian conservatory with a lean-to design. Thus, creating a ‘p’ shape. This design offers a versatile style as it extends both sideways and outwards onto the garden or outdoor area. P shaped conservatories are best suited to both modern and traditional homes. Which material is best for you? 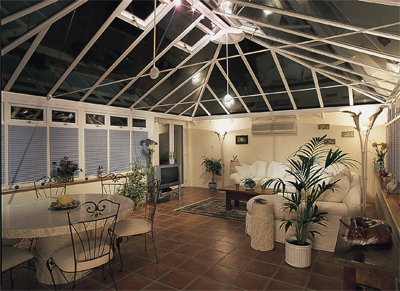 We pride ourselves on being able to create seamless conservatories that appear to be integral to the initial building. We offer uPVC, aluminium and timber alternatives when building your conservatory as each of these materials provide a host of benefits individually, as well as when used together. Read below to find out more about our variety of materials. uPVC is a popular choice of materials for windows and doors alike. Traditional conservatories usually utilise brick piers and cills. However, Panoramic could create your new space by combining these materials with a conservatory built primarily from uPVC. Using timber as your primary building material can be aesthetically pleasing as it creates an authentic, classic style. While timber may not be everyone’s first choice of material for conservatories, it offers a unique appearance that can’t be found with others. Aluminium is an excellent, lightweight and durable choice as a building material for conservatories. Both aluminium and uPVC can be coloured and foiled to create the same classic effect of timber with much more structural durability, while also being highly weatherproof. Do I need to replace my conservatory roof? 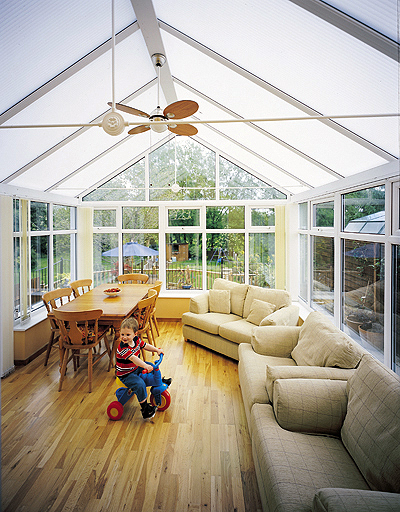 A leaking roof can be hugely detrimental for conservatories. 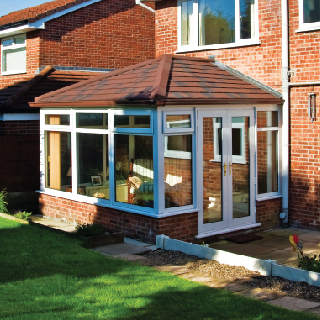 Panoramic offers a full service to check the condition of your conservatory roof. Solid roofing for conservatories can bring a whole new lease of life to your extension, allowing it to be used all year round as a social space for you and your family. If your conservatory gets too warm in the summer months and incredibly cold in the winter, a solid roof from Panoramic might be the perfect solution for you. Our tiled roof for conservatories by LEKA is highly customizable to your frames and can be adapted to suit most houses. LEKA tiled roofing is lightweight and won't cause any pressure damage to your existing frames. Fitting your new LEKA roof is easy! A member of the team will come to your home in Westbury on Trym to complete eligibility and safety checks. Panoramic will only proceed once our assessor has confirmed that the new roof will not exceed the weight of your frames. Our Atlas skylights are designed to bring more light into your home. The absence of framing and supports allows an uncompromising blue-sky view, allowing you to spend more time in your new space. Panoramic can install fully customisable Atlas skylights roofing system into your home, suiting both contemporary and classic tastes. 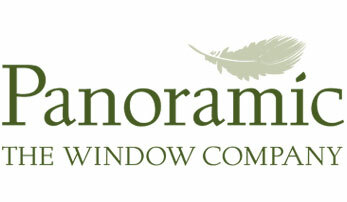 Panoramic is a long standing company which has been in business for over 40 years. Our experience in the industry means that we only use the finest materials to create unbeatable, cutting edge doors, windows and conservatories for unbeatable prices. To find out if a Panoramic conservatory is right for you, use our free online conservatory cost calculator. Are you interested? Come and visit our showrooms for more conservatories and design ideas, where a member of our expert team would be happy to assist you. Panoramic can take care of preparing drawings, obtaining planning permission and take the complication out of your conservatory! For more information call us on 01179560321, and one of our friendly team will help you with any questions you might have.